The FX market has been very quiet on Monday, as usual, and most of the main pairs haven’t moved much during the London session. The EURJPY cross ticked lower and was seen 0.2% weaker, hovering around the 129 level in the morning. Sentiment appears positive on Monday as stocks are rallying again, with the SP500 index posting new record highs above 2,880 USD. This could benefit the EURJPY cross later in the day. 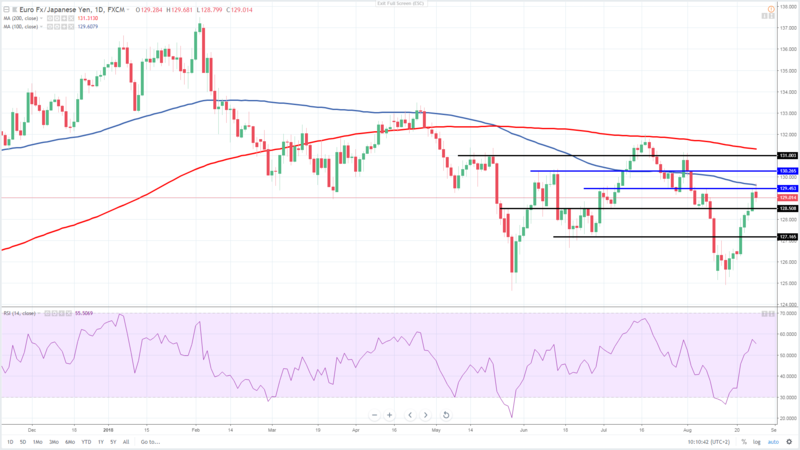 The price has risen steeply in the last two weeks and it has hit the resistance of previous highs, along with the 100 Day moving average, which is located near 129.50. This will be the key selling zone and if conquered, further rise toward 130.00/130.25 could occur. On the downside, the strong support is located at 128.50 and while above, the short-term outlook seems bullish. The next buying zone might be around 128.00.